As construction on the Destination Project continues to grow, so too are the dollars in the hands of local families and businesses. When PCL Construction Management Ltd. was awarded the contract to build the future science and academic building, many of PCL’s employees packed their bags and relocated to southern Alberta from their offices in Calgary and beyond. It’s a move that Tim Demler, superindendent for PCL Builders Inc., says has been nothing but incredibly refreshing. “My wife and I have rented a local property and set ourselves up in a great spot on the south side of Lethbridge. There is a heavy sense of community, courtesy and strong work ethic throughout the city,” says Demler. Community mindedness doesn’t stop there in Demler’s experience. PCL has also taken advantage of the expertise and inventory of local trades and suppliers. 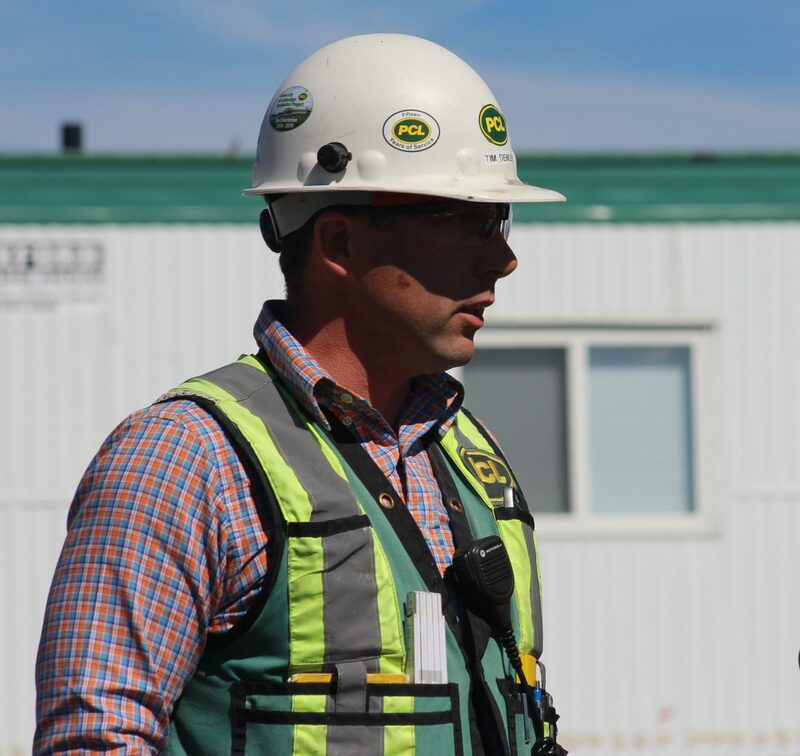 Another way the Destination Project has been boosting the southern Albertan economy is by satisfying the hunger of those working on the construction site. The Enmax Centre has recently opened an onsite cafeteria for the approximately 400 workers who are expected to be onsite by fall. City of Lethbridge food and beverage manager, Tania McMahon, says the project has allowed the city to pursue a new stream of revenue. With grading on the site now complete, the structural work will start to take shape in the coming weeks. The change in the campus landscape is sure to generate an energy amongst those returning to the University as the fall semester approaches. Find out more about the Destination Project by clicking over to destinationproject.ca.